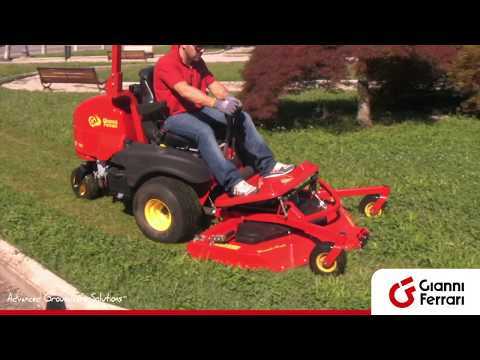 The Gianni Ferrari Turbo Z professional mowers are extremely FAST AND MANAGEABLE, thanks to the zero turning radius, which drastically reduces maneuvering times. Turbo Z is a ZTR (Zero Turning Radius) machine with two independent hydrostatic transmissions on the drive wheels which allow the machine to turn around on itself with a zero turning circle, giving maximum agility. 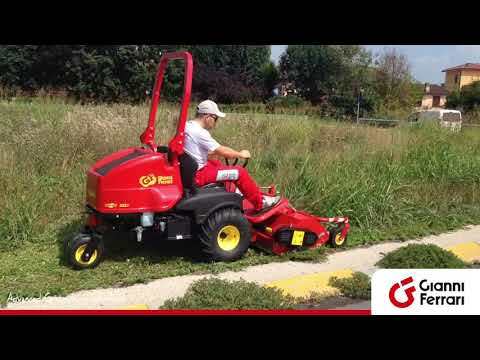 The low and compact design allows the machine to be very nimble between trees, flowerbeds and bushes, in small gardens and on narrow pathways. The manoeuvrability of the Turbo Z drastically reduces manoeuvring and the need for manual trimming. 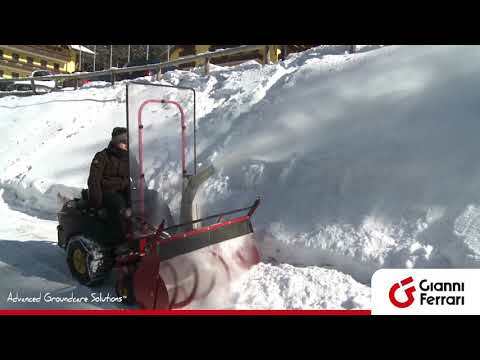 This, together with the high speed of the machine (up to 13 km/h), guarantees high hourly productivity. The dual fuel tanks, with a capacity of over 40 litres, allow for longer work periods (up to 10 hours) without refueling. The strong 3-cylinder diesel engine provides high efficiency, superior performance whilst reducing running costs. All regular inspection points can be reached easily. Routine maintenance and grease points are reduced to a minimum. Turbo Z mulching / rear discharge decks are floating so as to adapt naturally to the undulations in the ground for a more accurate cut. The deck carrier frame is fitted with puncture proof, semi pneumatic tyres. The infinitely-variable cutting height adjustment is carried out easily from the operator seat by pressing an electric control button. 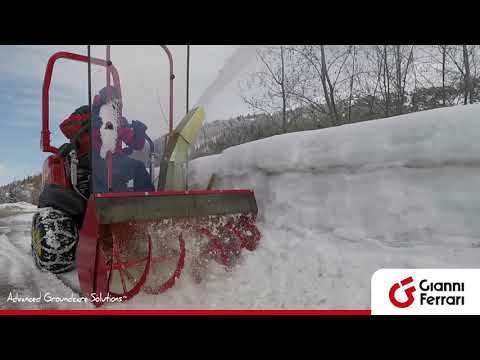 The same control is used, without any effort from the operator, to get the deck in vertical position for easy cleaning and maintenance or to reduce the machine dimensions for transportation or garaging. The mower deck with cutting width of 112 cm, has a cutting chamber very deep, made from a single pressed steel sheet, without add-ons. This means the underside is completely smooth, without sharp corners, for optimum air flow. Conversion mulching / rear discharge is rapid and does not require tools thanks to a special baffle system. The Dual-Cut™ 132 cm mower is a heavy-duty fabricated deck with reinforced leading edge that can be replaced after wear. 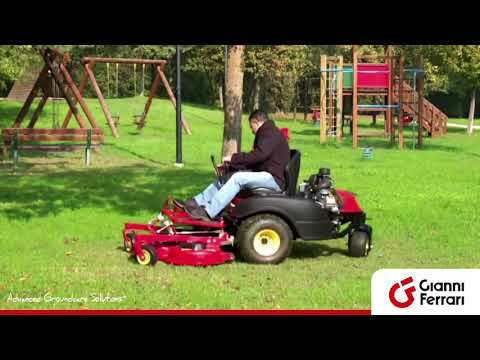 The mower is fitted with an easy-to use quick conversion system. 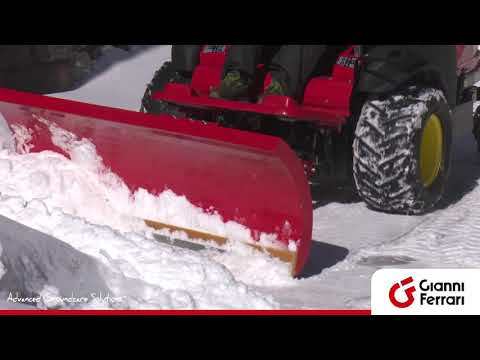 Just operate the handy lever to change in an instant the type of cut, mulching or rear discharge. The anti-shock release device protects the system against bumping. The PTO is engaged by pressing a pushbutton activating a powerful electromagnetic clutch. The clutch is adjustable to maintain efficiency over time. The clutch safety brake for stopping the PTO is integrated in the system. The power transmission from the engine to the front attachment is provided by a PTO shaft with higher efficiency and reliability than a conventional belt transmission. The diesel version is also fitted with a convenient front hydraulic lift device enabling the machine to mount kerbs and other obstacles, simply by pressing a pushbutton. The driving system with 3 levers (2 steering levers and 1 speed control lever) provides an effortless and precise control by the operator. The dashboard on the right fender provides information at a glance. The Turbo Z is fitted, as standard, with a comfortable contour-moulded seat which is lengthwise adjustable. On request, a super comfortable Grammer seat is available with lumbar support and headrest, adjustable armrests and suspension. A heated version is also available as option. Bar tread, low-pressure traction tyres (optional) guarantee maximum grip even in the toughest situations. Rear twin-wheel for light pressure over lawns and great swiftness. 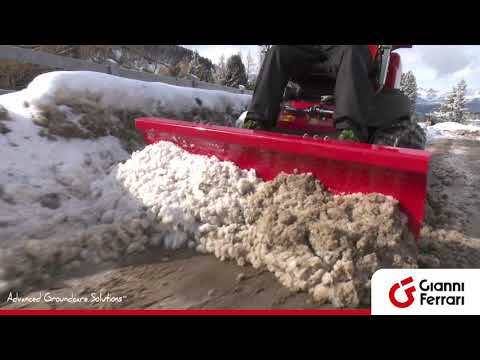 Oscillating rear axle to make it easier to load and unload the machine from a van or a trailer with just two ramps. Option.